To truly appreciate Rembrandt’s art you must see it up close. The paintings currently on display at the National Gallery were made after the fame and success of his youth had dwindled. They are dominated by emotion, and strikingly expressive when seen in the flesh. ‘In the flesh’ is an appropriate phrase, for it is the softness of his depiction of skin, cloth and light that captivates the viewer. The tempered, monochromatic palette is easy to disregard in a catalogue of his works, but here emerges as a highlight. The exhibition opens, naturally, to a room of self portraits. Rembrandt produced more than 80 over the course of his life: here, a group of them sit looking at each other as visitors stream past in droves. They are pulled together from galleries across the world but each is depicted wearing a soft beret, often with hands clasped and the same expression – pursed lips and pensive eyes. 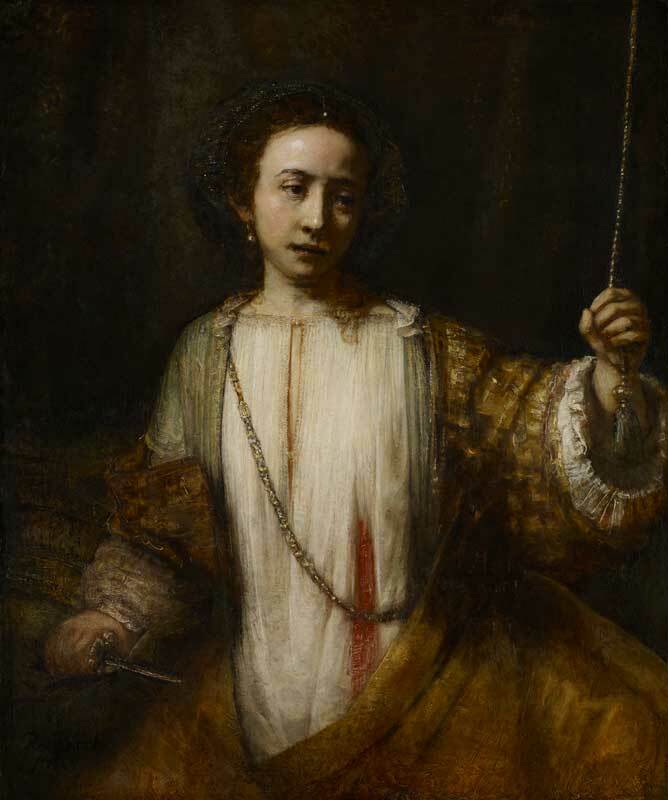 At this point in his life, Rembrandt was bankrupt, his wife Saskia buried and his lover, Hendrickje Stoffels (so frequently his subject) scorned from her church because of their relationship. Self-reflective, honest and expressionistic, the man’s weary life-worn wisdom is carried through into every painting, etching and sketch on display. The remaining galleries display commissioned portraits, biblical subjects and history scenes. Each of Rembrandt’s artworks are heavy with emotion – sympathetic to the expression of his subjects, but etched with his own personal experiences. The sadness in the eyes of Lucretia, as she lifts a dagger to end her shame, seems also to speak of sadness the artist has known. The visible, rough brush-marks and the paint lumped onto the surface of each canvas are constant reminders of his hand behind the image. The last painting in the exhibition is poignantly one that was still unfinished at the time of his death at 63. Self-scrutiny, experimentation, intimacy and contemplation characterise the master’s final years. Bringing Rembrandt’s late works together in one exhibition makes this immediately apparent. In both the classic masterpieces and unknown treasures, we see the same subtle passion painted into every subject’s expression, and it is this emotion that brings each character to life. The intimacy and contemplative character of each work is the artist’s signature. 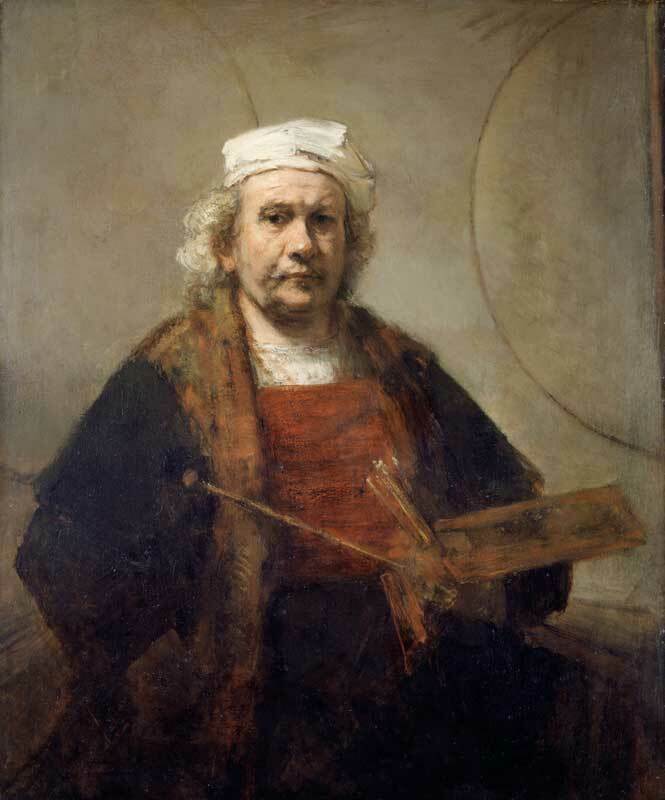 ‘Rembrandt: The Late Works’ is at the National Gallery, London, until 18 January 2015.